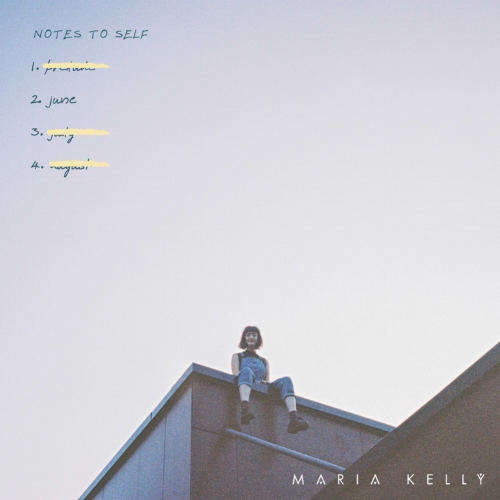 finds me chatting with Maria Kelly about his current single, june, and what inspirations/ideas are behind her upcoming E.P., notes to self. 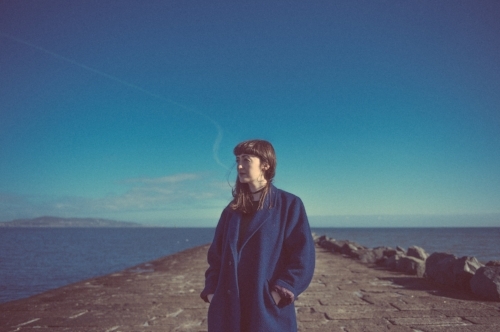 The Irish-born, Berlin-based artist talks about life in the German capital and which musician, given the chance, she’d love to support – I ask which three albums are most important to her. Kelly tells me about her tour schedule and which memory from her career so far stands in the mind; the rising musicians we need to follow and check out – she ends the interview by selecting a great song. Hi, Maria. How are you? How has your week been? Hello! I’m really good; thank you for asking. My week has been quite lovely. It’s been this beautiful autumn/winter-type weather here in Berlin at the minute and I am very much enjoying jumper season. I usually describe myself as ‘Alternative-Folk’ - whatever that means – but, outside of genre, I just try to write introspective songs that allow for honest expression of feelings that I normally find quite difficult to express. I’m also from Westport, a small town in the West of Ireland, but currently living in Berlin! June is your new single. Is there a tale behind the song? In general; it’s about allowing yourself the space and time to deal with negative emotions that can be easily avoided. I wrote it when I first moved to Berlin and I was spending a lot of time alone. I found it quite difficult to lie to myself when I was alone, which led me to jot down this kind of angry, frustrated diary entry; full of things I wanted to say, but never did. It is from notes to self. Can you talk more about that collection and how your move from Dublin to Berlin provoked the inspiration? Notes to self quite quickly became the title because I had decided, as soon as I got to Berlin, that I would quite literally write notes to myself. Whether this was interesting phrases or thoughts I had gathered from other people; life lessons, pep talks telling myself to calm down or cop on… It allowed me to understand my mentality at the time and kind of ‘check in’ with myself - as you would with a friend. It allowed me to be honest with myself. The rest of the songs on the E.P. capture other moments in time throughout the summer and deal with a general theme of ‘holding on; hiding behind and letting go’. That’s a lot of info to take in...But I think it will make more sense when it’s all out in the world. Haha! How has it been moving from Ireland to start afresh in Berlin?! What are the main differences you have noticed? It’s been amazing. It really has. I originally came for ‘just the summer’ but, after two weeks, I didn’t want to leave. It feels like a much slower pace of life here, which I love. There’s time and space to focus on things that you actually really want to do and it isn’t too expensive, so there’s not as much pressure to break your back just to pay the rent. Getting to experience a new place and culture has definitely been great for my songwriting too - it feels like I have the confidence to push the boundaries a bit more than if I were at home. Regina Spektor, for sure; Lisa Hannigan; Lucy Rose; Gemma Hayes; Wallis Bird - there are specifically a lot of Irish female songwriters who I would of discovered when I was younger. I had always been surrounded by music growing up and started playing guitar and writing when I was about ten. I’m excited to get my E.P. into the world and I would feel fulfilled if it just reached as many ears as it possibly can. I have some exciting shows too - some after the November tour dates - that I really can’t wait to share. But, I don’t have particular goals by the end of the year- I have had a very lucky year that I am grateful for and I am just looking forward to releasing notes to self and seeing what people think. Most recently; getting to play in St. Michael’s Church for Other Voices Ballina alongside Villagers, Sam Fender and Maverick Sabre. I just couldn’t believe I was in that line-up. I would have a lil’ cry if I got to support Lucy Rose. That’d be a teenage dream come true. Ha. My rider…that’s a fun question! Honey, lemon; a kettle…and then a very nice bottle of gin for after the show and a packet of six teacakes. Wild. Don’t rush it: spend time making music you really want to make. Let people help you. Be supportive of your music scene. In recent months, it has become one of my favourite aspects of being a musician. My songs are such personal things to me and, when I am really present in a performance, I feel very much back in the headspace of the time I wrote it. To get to do that, but in a room full of welcoming, attentive people is quite a strange healing process. It’s then even better to realise that the song can then have a different meaning for each person in the room - allowing them to return to a particular headspace and to, hopefully, find healing in it too. Loads. 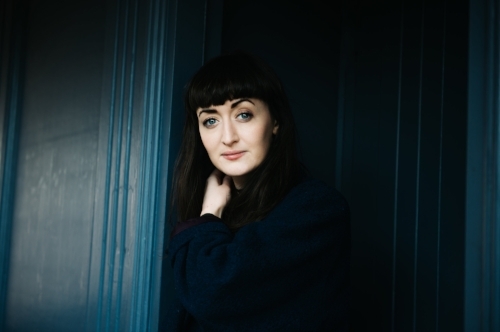 LAOISE, Ailbhe Reddy; All The Luck In The World, Good Ghost; Vampire Finch...and, if you haven’t hear of them; also loving Saint Sister, Lomelda and Haley Heynderickx.